Part of the reason I wrote Spitting Up Frogs is because I wanted a story to reflect the diverse make up of the students I see in schools. I think it’s very important and validating for students to see their culture and a variety of other cultures represented in the works they are exposed to in class. Ideally it promotes self-confidence, social awareness and empathy for others. I plan to write more and I will post up lesson ideas and worksheets as I go along. Spitting Up Frogs is an urban fairytale that takes a unique look at prejudice and the challenges people face around race, disability and being a new immigrant. It’s a culturally diverse short story where the main character, Fuyumi, is cursed by her Great Aunt Angeline for being the product of a mixed marriage. Fuyumi spits up frogs every time she speaks and this causes her difficulties she has to overcome. With the help of a new friend, Harvinder, she learns to find her voice and see her frogs in a new light. 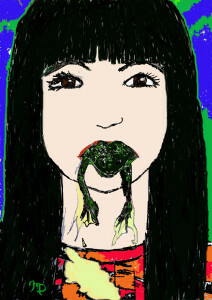 Spitting Up Frogs can be used for middle school and high school short story units. I’ve used this short story as part of a grade 8 short story unit. Below are teaching materials that I came up with and I’ve posted them so they are free for anyone to use for nonprofit educational purposes. 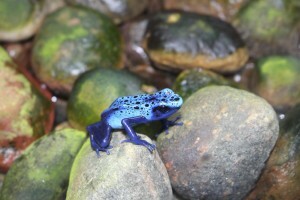 Click on Spitting Up Frogs to access the story online. Spitting Up Frogs Vocabulary Worksheet consisting of ten vocabulary words from the story set into 10 multiple choice questions where students pick the best definition. To add on to this activity, you can have students write their own sentences using these ten vocabulary words. What Do You Think? Questions: There are six in total. Use to help students get those creative juices going. Journal Questions: These questions can be used for students to write a journal about. You could also use them for classroom discussions. (I used them for both) There are eight questions in total. Find the Conflict in the Short Story Worksheet: This worksheet has the headings of Person vs. Person, Person vs. Self, Person vs. Nature and Person vs. Society. There are blank spaces for students to brainstorm what conflicts are happening in Spitting Up Frogs. This is a nice activity for students to do in pairs or small groups. Find the Conflict in the Short Story Worksheet Answer Key: Answer Key for the above activity. I used Spittin g Up Frogs and Charles Perrault’s The Fairies for a compare and contrast lesson with grade 8 students. First we brainstormed as a class and then students broke off into smaller groups to fill out their Venn diagrams. This activity works well in pairs or in small groups. Here is a link to an online version of Charles Perrault’s The Fairies. Below are links for comparing and contrasting resources to use with Charles Perrault’s The Fairies and Spitting Up Frogs. These links are from ReadWriteThink.org which is a fabulous website for teacher resources. Venn Diagram Handout – This is a nice simple Venn diagram printable worksheet that students can fill out for comparing and contrasting the two stories. Venn Diagram Interactive Online – Students can fill out their Venn Diagram on the computer and then print it out. This is great if you have access to computers and/or for students who have written output issues. Venn Diagram Rubric for Marking – This sheet provides guidelines for students for creating their Venn diagrams and as a marking template for teachers. For more details about how I came up with this story idea and the message I hope students get from Spitting Up Frogs, check out my Spitting Up Frogs blog. Also, if you want to use this story in your classroom and would like to ask me any questions, or your students would, please feel free to contact me. I’ve also made a link to share this story with teachers at ShareMyLesson. Elijah Russell on Spitting Up Frogs Blog – My First Story Published! 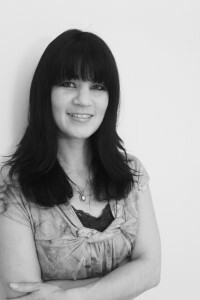 Miki Dare on Spitting Up Frogs Blog – My First Story Published! 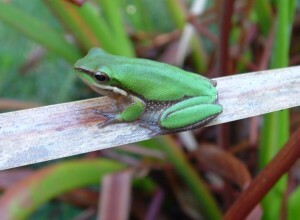 Tanya on Spitting Up Frogs Blog – My First Story Published!